Multiple choice questions have always been abhorrent to me. My prejudice against MCQs is both instinctual and ideological, I think. I have forever associated MCQs with a functional approach to education. What use would a liberal like me ever have for the A, B, C or D approach to teaching and learning? The root of my prejudice is, like all prejudices, ignorance. 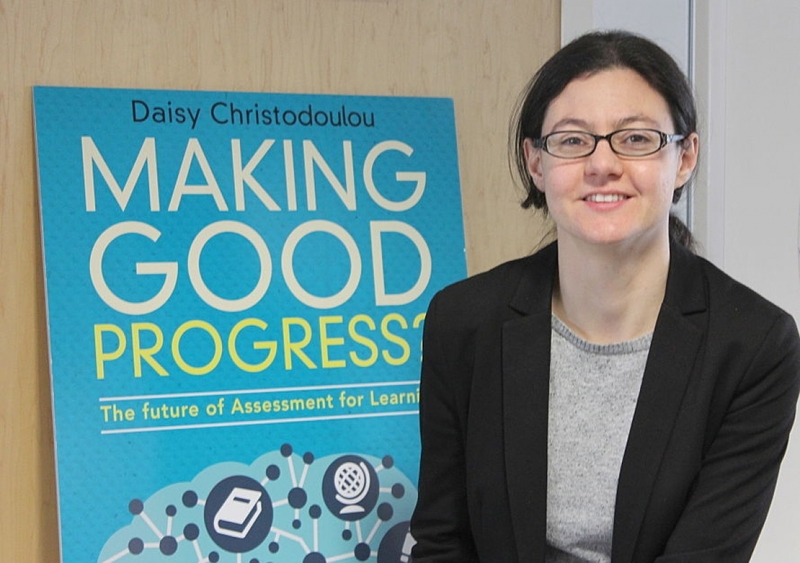 The most influential book I have read this year has been Daisy Christodoulou’s Making Good Progress. It clarified the complexities of assessment for me. After reading Daisy’s book I felt slightly ashamed that it had taken nearly three decades of teaching before I understood how assessment undergirds the teaching and learning process. I recommended the book to our curriculum lead and he has been working with subject leaders over the past few months as we implement Daisy’s key recommendations; one of our central development strands this year is to ensure the coherence of assessment, curriculum and pedagogy. The results have been hugely useful. I have been able to assess which elements of what I have taught have not been learnt securely by the students. Before half term, we need to return to the market for loanable funds and quantity theory because 80% of the students failed to answer those MCQs correctly. 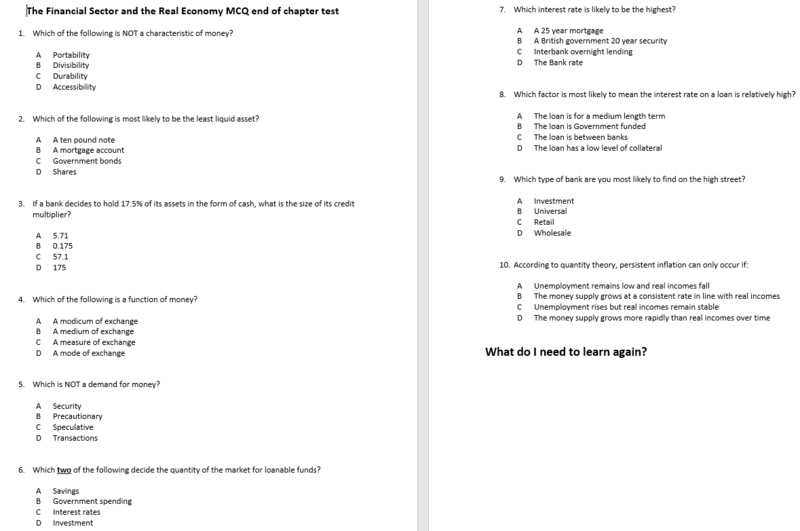 One student said she had “enjoyed” the MCQ test and found it “really useful”. This form of formative assessment is both accurate and time-efficient. Writing effective MCQs is not easy. Good MCQs will test students’ knowledge and understanding of your subject; bad MCQs will test their powers of elimination. You have to make sure you include a few distractors, which are plausible but quite clearly wrong. A great brief guide can be found here. ‘A review of multiple choice item-writing for classroom assessment’ is available here. A general guide for teachers on test writing, with a great section on MCQs can be accessed here. Leading an evidence-informed national Research School means defeating your own prejudices. If you would like to know more about Research Schools and want to hear some influential speakers discuss how evidence-informed approaches can aid school improvement, then why not attend the forthcoming Evidence In Education: Northern Networks Making It Work conference at the University of York. You can find more details and book a place here. Agree – it’s difficult to write effective and good questions period. There are some things about teaching where we need to know that our students understand the content – The Who, what, when, and where to help them understand they why and how and then apply their learning forward. Excellent post, thank you. Agreed. Is your Maths faculty familiar with the A-level support site integral. They cater for all exam boards (though the site is created by the mei) and all sub topics are assessed with a multiple choice test and then more formal. Subscription but we’ll worth it! Resources too.